KATHMANDU, July 9: Softening his previous stance against constitution amendment, Prime Minister KP Oli has said that the constitution can be amended if it has affected people in the country adversely. Speaking at the National Assembly on Monday, he said the government is not against bringing an amendment to the constitution if it has affected any community or section adversely. “If the constitution has affected the people adversely, for whose sake should we be taking a stance against its amendment? The constitution can be amended for the sake of the people and the development of the country,” he said. 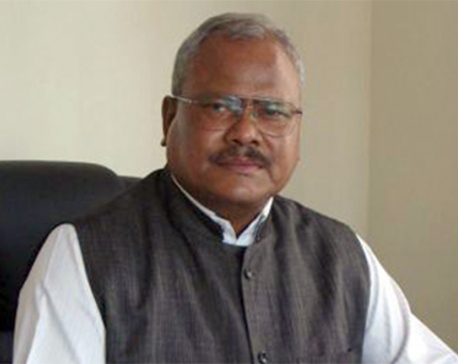 Oli changed his tune after the major political force in Madhes which was demanding constitutional amendment before joining the government helped Oli’s Nepal Communist Party (NCP) garner a two-thirds majority in parliament. A two-thirds majority would enable it to amend the charter. Stating that any kind of discrimination is unacceptable in a democracy, Oli said he was ready to amend the constitution if it has any discriminatory provisions. Oli, however, defended the constitution which was promulgated in 2015, claiming that it doesn’t discriminate against anyone. He also said that any newborn inside the territory of Nepal would get citizenship by descent. Oli urged all the political parties not to make amendment a prestige issue or a matter of ego. “It should be amended based on necessity and if it becomes a barrier to the prosperity and development of the country,” said the prime minister. Refuting lawmakers’ allegation that he was consolidating power under his office, Oli claimed that he doesn’t have any authoritarian ambitions. 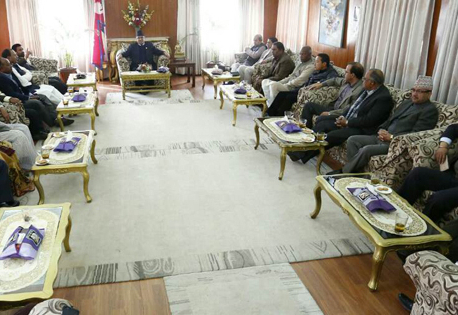 “It is not my will to become a powerful prime minister, but we do need a powerful and stable government,” said Oli. Oli also criticized the Supreme Court for issuing a stay order against road expansion work. Blaming the previous government for the poor state of development work, he said that even a government with a two-thirds majority cannot blacktop all the decade-old potholes in four months.